Azamgarh is a city in the Indian state of Uttar Pradesh. It is the headquarters of Azamgarh division, which consists of Balia, Mau and Azamgarh districts. Azamgarh is situated on the bank of Tamsa River (Tons). Azamgarh, one of the easternmost districts of Uttar Pradesh, once formed a part of the ancient Kosala kingdom, except its north-eastern part. Azamgarh is also known as land of the sage Durvasa whose ashram was located in Phulpur tehsil, near the confluence of Tamsa and Majhuee rivers, 6 kilometres (3.7 mi) north of the Phulpur tehsil headquarters. The district is named after its headquarters town, Azamgarh, which was founded in 1665 by Azam, son of Vikramajit. Vikramajit was a descendant of Gautam Rajputs of Mehnagar in pargana Nizamabad who like some of his predecessors had embraced the faith of Islam. He had a Muslim wife who bore him two sons Azam and Azmat. While Azam gave his name to the town of Azamgarh, and the fort, Azmat constructed the fort and settled the bazar of Azmatgarh in pargana Sagri. After the attack of Chabile Ram, Azmat Khan fled northwards followed by the interior forces. He attempted to cross the Ghaghra into Gorakhpur, but the people on the other side opposed his landing, and he was either shot in mid stream or was drowned in attempting to escape by swimming. In 1688 A.D. during Azmat's lifetime, his eldest son Ekram took part in the management of the state, and after Azam's death he was perhaps left in possession together with Mohhabat, another son. The remaining two sons were taken away and for a time detained as hostages for their brothers' 'good behaviour'. 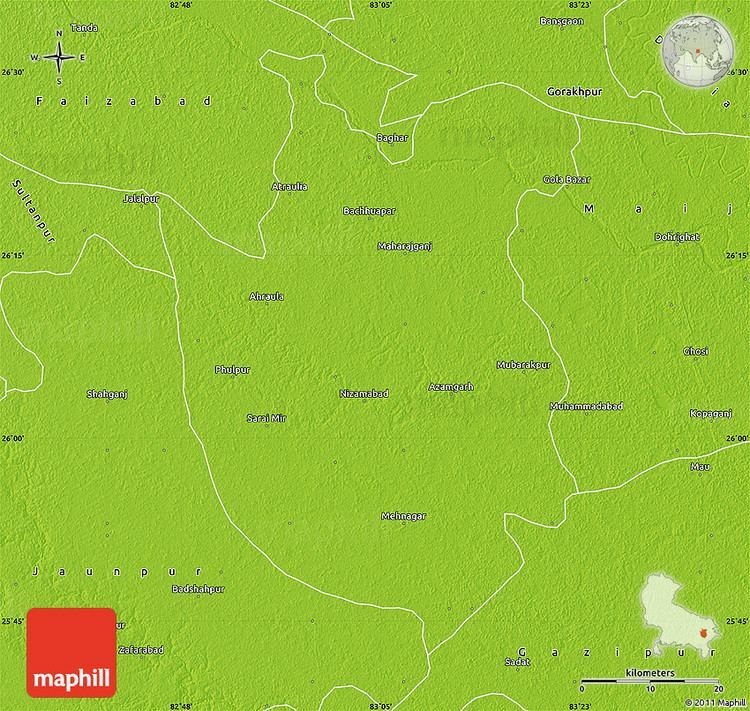 Azamgarh is connected with Lucknow 268 km (167 mi) and Delhi 761 km (473 mi) by road. It has one of the biggest bus depots in eastern Uttar Pradesh and regular bus services to almost all district headquarters of Uttar Pradesh and also to Delhi. Recently A NH 28 Passed From Varanasi To Lumbini Via Azamgarh which is to be four and NH 233B (NH 28 as per new numbering system) is new rote in Azamgarh, Rajesultanpur, Gorakhpur Road.Azamgarh will be part of Lucknow Ballia Expressway. Azamgarh has a new airport, Manduri Airport, 9 km (5.6 mi) away. The nearest international airport is Lal Bahadur Shastri Airport (Varanasi), 100 km (62 mi) away. 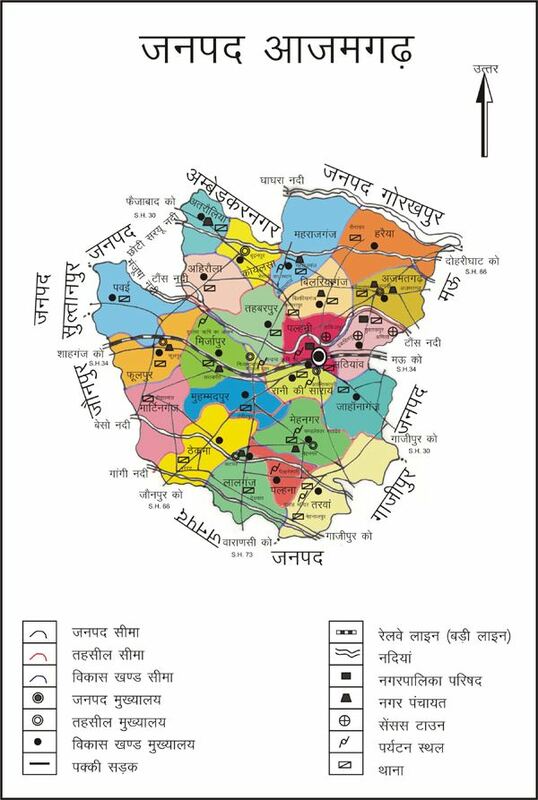 As per provisional data of 2011 census, Azamgarh urban agglomeration had a population of 116,165 out of which males were 60,678 and females were 55,487. The literacy rate was 86 per cent. Azamgarh experiences a humid subtropical climate (Köppen climate classification Cwa) with large variations between summer and winter temperatures. Summers are long, from early April to October with intervening monsoon seasons, and are also extremely hot, even by South Asian standards. The temperature ranges between 22 and 46 °C (72 and 115 °F) in the summers. Winters in Azamgarh see very large diurnal variations, with warm days and downright cold nights. Cold waves from the Himalayan region cause temperatures to dip across the city in the winter from December to February and temperatures below 5 °C (41 °F) are not uncommon. The average annual rainfall is 1,110 mm (44 in). Fog is common in the winters, while hot dry winds, called loo, blow in the summers. In recent years, the water level of the Tamsa has decreased significantly. Azamgarh's culture is a reflection of Hindu culture, Avadh culture of Eastern Uttar Pradesh and Jaat culture of northern Uttar Pradesh. 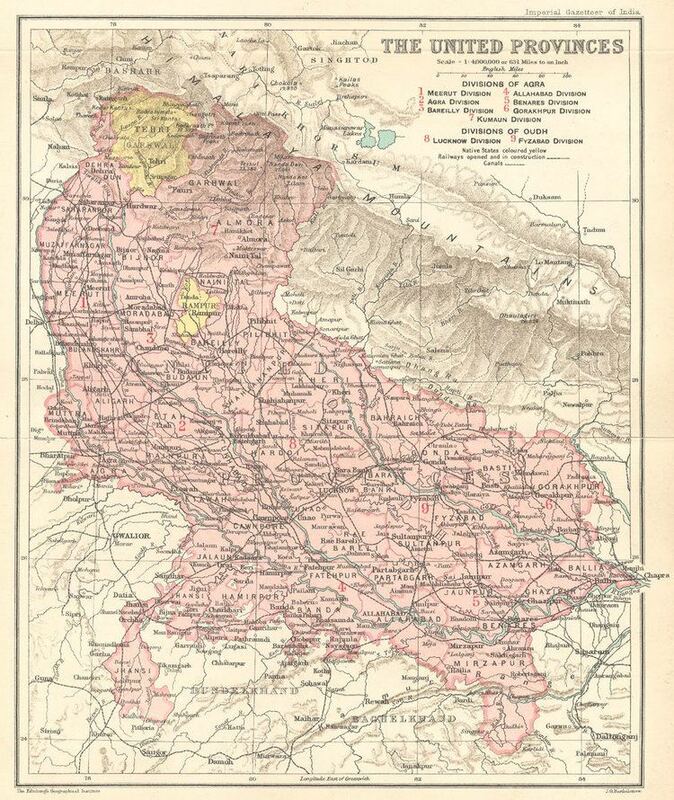 Since Azamgarh lies in the eastern part of the Uttar Pradesh, the traditional languages are Awadhi (20%), Bhojpuri (55%), Khadi Bhasha (18%) and Urdu (25%). Government Medical College, Azamgarh is a state medical college located at Chakrapanpur, Azamgarh. It is affiliated to King George's Medical University, Lucknow. Government Engineering College, Azamgarh is a constituent college of Dr. A.P.J. Abdul Kalam Technical University (formerly Uttar Pradesh Technical University) and has its campus at Madan Mohan Malaviya University of Technology in Gorakhpur. Voice Of Azamgarh (90.8) Community Radio. Air Vivid Bharti (101.2) which Broadcast from Mau District & Covers Azamgarh city too. NB This list is only for people from Azamgarh itself, for those from elsewhere in the district please see Azamgarh district. Prakash Singh (IPS, Padma Shri) is a retired Indian Police Service officer, who rose to the highest rank of Director General of Police (DGP).